OptiCool Technologies is an affiliate company of Calvary Robotics – a 20 year history of engineering innovation. 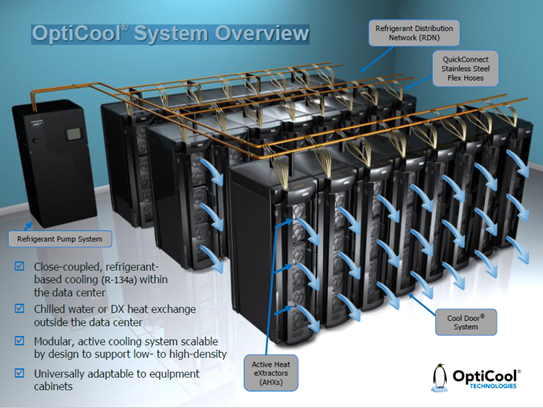 We design, engineer, manufacture and market our award-winning OptiCool® cooling system in Webster, NY. We focus exclusively on refrigerant-based cooling solutions which can be located wherever you locate your technology, Data Centers, CoLo’s, Cloud Centers, Telecom Switch Rooms, Cable Head End Rooms, Cell Phone Tower Rooms and Wire closets.